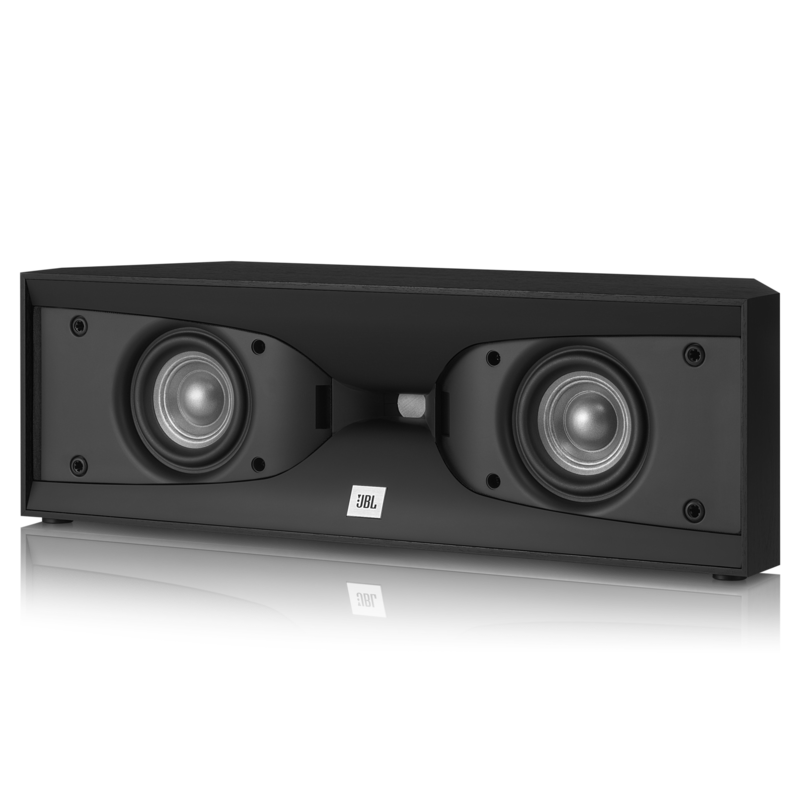 JBL engineers have designed the Studio 520C centre-channel loudspeaker to deliver robust sound from a compatible AVR (audio/video receiver) or 25- to 150-watt power amplifier, whether you are using it as a stand-alone unit or as the centerpiece of a surround-sound system. Powerful bass affects more than just your ears. It resonates through your entire body, creating a soundscape that you can feel as well as hear. The JBL Studio 520C centre-channel loudspeaker delivers accurate low-frequency sounds from a pair of 4-inch (100-millimetre) ribbed PolyPlas woofers. The ribs improve strength while reducing distortion. The result is rich, articulate bass. Thanks to a heavy-duty Symmetrical Field Geometry (SFG) magnet assembly, the Studio 520C centre-channel loudspeaker’s dual low-frequency woofers deliver highly focused bass. The result is pristine, articulate sound. The JBL Studio 520C centre-channel loudspeaker’s high-frequency compression driver lowers distortion and provides a wider dynamic range than is possible from conventional high-frequency and midrange drivers. The tweeter includes a one-piece Teonex® diaphragm/surround assembly fitted with a 1-inch (25-millimetre) voice coil that can deliver enhanced vocal articulation. Horn-shaped loudspeaker designs optimize high-frequency output by directing the sound to the listener with pinpoint accuracy, thereby eliminating reverberations, reflections off walls, and other artefacts. The Studio 520C centre-channel loudspeaker features a glass-filled ABS Bi-Radial high-frequency horn that delivers professional-level sound to your home. The Studio 520C centre-channel loudspeaker’s low-loss, two-way crossover network ensures a clean transition for sound coming from individual low-frequency and high-frequency drivers, thereby reducing distortion while improving clarity. The Studio 520C centre-channel loudspeaker will work with multiple power amplifiers or connection setups – or both – for single-wire or bi-wire operation. The result is enhanced versatility in the ways you can use the Studio 520C speaker. The Studio 520C centre-channel loudspeaker’s cabinet is built with the same attention to perfection as every other component. Rigid, heavily braced MDF (medium-density fibreboard) materials prevent unwanted resonances, while non-parallel surfaces eliminate sonic interference. The same attention to detail that went into the 520C centre-channel loudspeaker’s technical design was paid to creating a powerful, sophisticated look that will fit within even the most discerning householder’s décor. The 520C is available in a black or cherry finish. A truly enveloping theatre-quality surround-sound experience begins with the centre channel. The Studio 520C centre-channel loudspeaker raises your home system to the next level with the kind of advanced technology that JBL® engineers developed for professional audio systems. The Studio 520C features a pair of 4-inch (100-millimetre) low-frequency woofers and a high-frequency compression driver surrounded by a glass-filled Bi-Radial® horn, a combination that delivers crisp, focused, dimensionally accurate sound. Using specially developed materials – including a ribbed PolyPlas™ cone and a Symmetrical Field Geometry™ (SFG) magnet assembly for the woofers – the Studio 520C delivers powerful and focused bass sound. 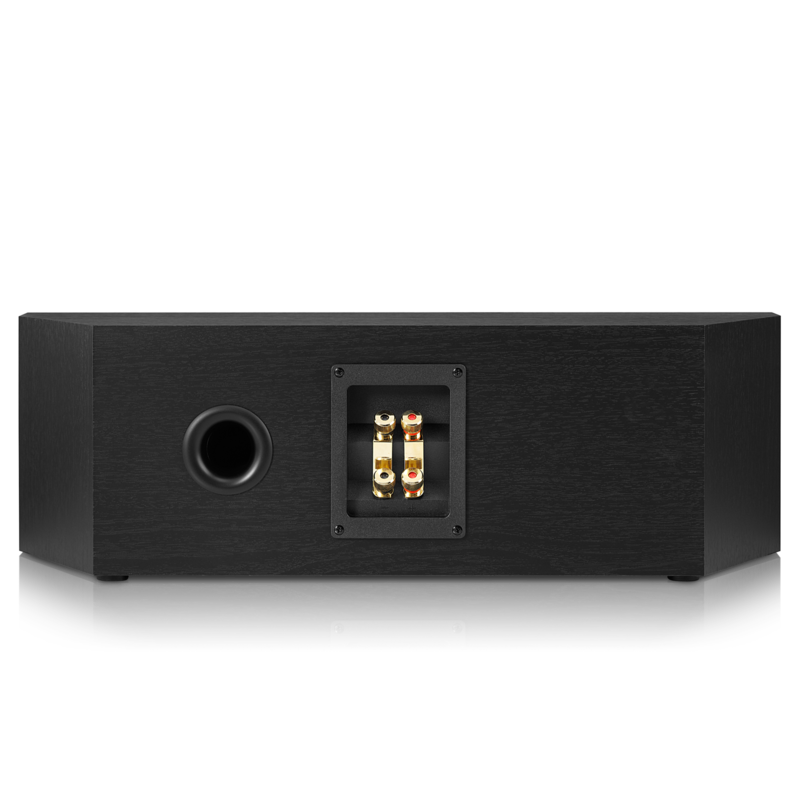 A compression tweeter housed within the same type of Bi-Radial horn that JBL engineers developed for concert sound systems delivers high frequencies that are equally distinct and precisely aimed. Studio 520C is rated 4.9 out of 5 by 7. Rated 5 out of 5 by pat22 from excellent sound great looks I replaced the old speaker system and I am very happy indeed! Rated 5 out of 5 by Kev7mi from Exceptional Sound! You get mid & bass from that unit even though I have a dedicated sub-woofer. The sound quality is exceptional...A very crisp and clear sound! 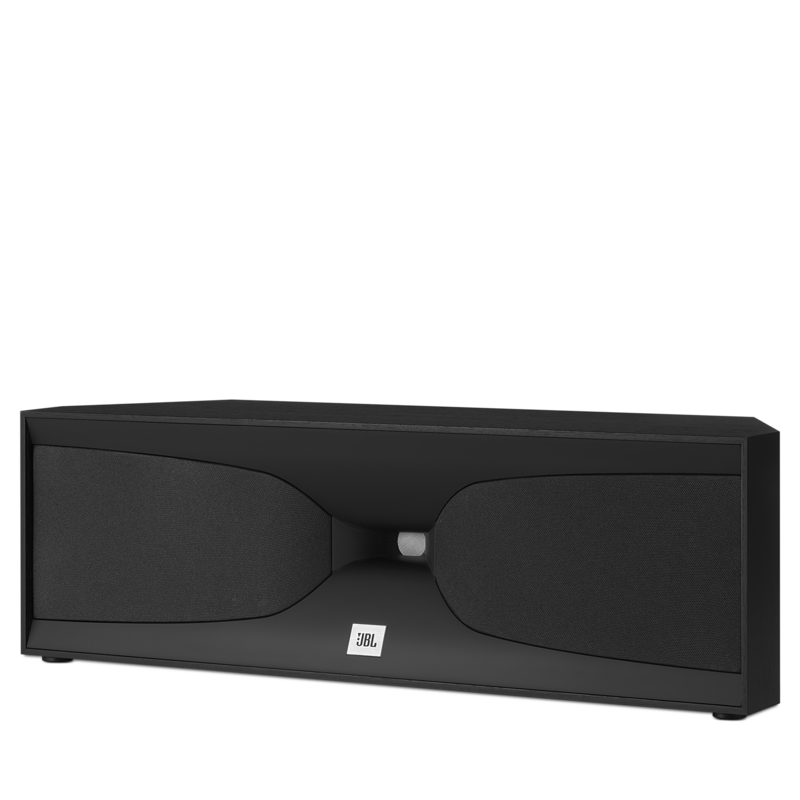 Rated 5 out of 5 by Skillet from Awesome Center Channel Speaker Great center channel speaker for a large room setup. Center channel vocals and dialog stand right out regardless of the source (TV, music, etc.). I use the Studio L820's for my front left and right speaker. The fit great on standard 11" deep book shelves. Overall sound quality is outstanding. I do use a subwoofer for lowest frequencies. Hi- Is Studio 520C compatible with Yamaha RX-V483BL 5.1-Channel 4K Ultra HD MusicCast AV Receiver? This may be a moot point. If you have a cathode ray tube, then yes, you will need a magnetically shielded speaker. If you have a flat screen, then there is no magnetic field to be concerned with. This is why you hear less and less about that feature in speakers. Your Denon receiver should be able to safely handle the Studio 520C. As far as timbre matching, the ES25C is the perfect center channel to go with the ES80's. It's the same product line. It has the same material for the transducers. The Studio 520c uses a horn design so the timbre differences will be noticeable. Excuse my lack of knowledge but would I be Able to use this speaker with my new Samsung QLED TV, it only has HDMI inputs on the rear of the TV, How would I go about Connecting if it is possible. Unfortunately, the JBL Studio 520C and any of our Studio loudspeakers cannot be connected directly to any TV without the use of an amplifier or receiver. We recommend the use of Harman Kardon's receivers found on https://www.harmankardon.com/audio-video-receivers/ for best results. Can the 520c be used for left and right channel duty also? Thanks for reaching out. Yes, you can also use this as your left and/or right speakers. If you have other questions or inquiries, please submit a case request at https://www.jbl.com/support-contact.html and the Customer Service Team will be more than happy to assist you. studio 230&rsquo;s in front, 210 satellites in back, a small sub (I live in condo) running a Denon AVR-X2300. &nbsp;I was trying to purchase the 235c to complete my system, but it has been back ordered, I am correct in assuming that the 520c isn&rsquo;t a good match? Hello! Studio 520C is a good match for the system. 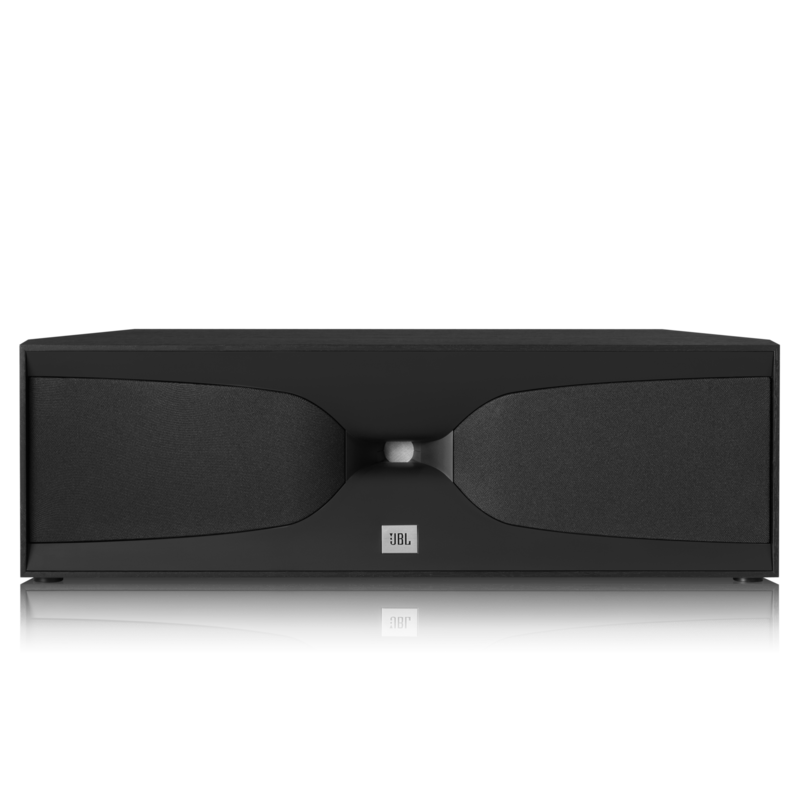 It matches the specs of the receiver and range of your front speakers, it is a good fit for your current system. does this speaker come with an aux cord? If not, what type of Aux cord do I need to get? These speakers does not come with an RCA cable and does not use an aux cable , You'll need to get 8 gauge wires to connect it to your receiver.